﻿ Best Price on Villas Macondo in Tamarindo + Reviews! Villas Macondo is just 500 ft from Tamarindo Beach, and features an outdoor pool, tropical gardens and free Wi-Fi. Each air-conditioned room has a terrace with a hammock and garden views. 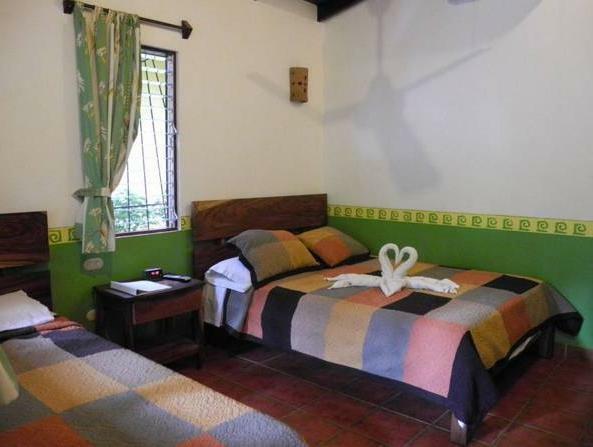 Rooms at Villas Macondo feature colorful hand-painted decór and include cable TV, a mini-fridge and a safe. The private bathrooms have a shower and free toiletries. Villas Macondo has a small computer room and a tour desk, where staff can help arrange activities such as boat trips, horseback riding, surfing and diving. Free parking is available on site. Local and international restaurants can be found within a 5-minute walk of Villas Macondo. Las Baulas Marine National Park is one mile away and Tamarindo Airport is 2.5 miles away. Please note that the front desk is closed from 9 pm until 7 am. If you expect to arrive outside front desk hours, please inform the property in advance. Contact details can be found in the booking confirmation.